Battery acid figure 6.2 The pH scale in relation to some example solutions or environments and some organisms that can live at high pH (alkaliphiles) or low pH (acidophiles). to a more neutral pH. Too much lime, however, is harmful and an alkaline soil can be as bad for plants as an acidic soil. Most plants grow best at a neutral pH (around pH 7). Some, however, grow naturally in soils that are slightly acid (peats and heaths) and should not be limed since the plants prefer to grow at a pH which is lower than neutral (these plants include rhododendrons, blueberries and huckleberries). Some soils are naturally alkaline (because they contain a high proportion of calcium and other salts) and the plants that grow in them tolerate a pH which is higher than neutral. 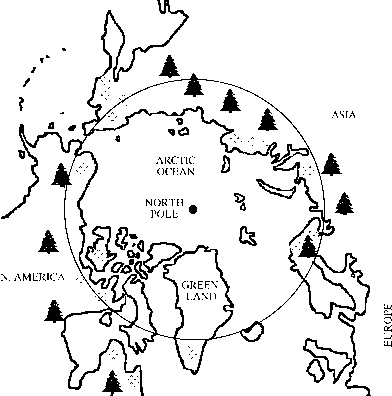 Most natural environments are at a pH of 5-9 (Figure 6.2). Very few organisms can grow in conditions that are very acid (below pH 3) or very alkaline (above pH 9). Those that do are called acidophiles or alkal-iphiles. Those that can tolerate, but not grow, under these conditions are called acidotolerant or alkalitolerant. Growth at extreme pH is generally restricted to microorganisms. There is, however, at least one animal which can grow under very acidic conditions. Vinegar (about pH 2) can be made from any substance which contains sugar that can be fermented to alcohol and then to acetic acid, by the activity of yeasts and bacteria. It was probably first made from wine and the name means 'sour wine' (from the French). The vinegar eelworm (Turbatrix aceti, a nematode) was once a common inhabitant of vinegar, originating from the oak bark, twigs and branches that were used in its manufacture. Its natural environment was probably the fermenting sap issuing from the trees and other naturally fermenting habitats. This nematode was once so common in commercial vinegar that it was a widely held belief that its sharp taste was due the 'striking of these creatures upon the tongue and palate with their acute tails', a myth which was not discredited until the mid-eighteenth century. The vinegar eelworm can grow at an extraordinary pH range of 3.5-9, and can tolerate a range of 1.6-11, but it grows best at an acid pH. We have little idea how it can tolerate these conditions. The production of vinegar is a result of the conversion of ethyl alcohol to acetic acid by the activity of acetic acid bacteria (Acetobacter and Gluconobacter). These bacteria are, of course, quite acid tolerant and can survive exposure to the acidity which they generate. A major use of vinegar, apart from flavouring, is for food preservation since few microorganisms can grow in the acidic conditions. There are, however, some acidophilic microbes which survive in some rather unusual environments that generate a very low pH. Acidophilic bacteria, from a group called thiobacilli, are associated with hot springs, and other sites, which have high concentrations of sulphur. The thiobacilli use sulphur as an energy source, oxidising it to sulphur dioxide, which dissolves in water to make sulphurous acid. The bacteria oxidise this further to sulphuric acid. Their metabolic activities thus create an acid environment which they, and the other microbes that live there, can survive. Thiobacillus ferroxidans can use iron as an energy source and will grow in mine tailings that contain iron pyrites (iron disulphide). This bacterium can oxidise both the iron and the sulphur, producing acid in the process, and releasing some free sulphur. Other thiobacteria utilise this, adding to the acidity. A large pyrite dump can thus generate a very acid leachate, as a result of the activities of these microorganisms. This causes problems to mining engineers by corroding equipment and results in severe environmental problems. Several groups of archaea are acidophilic, including Sulfolobus, from sulphur-rich acid hot springs, and Thermoplasma, which is found in coal refuse piles. Hyperthermophilic archaea are associated with sulphur-emitting deep-sea hydrothermal vents. Some of these metabolise sulphur and are associated with acidic conditions. Other acidophilic microorganisms include fungi, yeasts, protozoa and algae. The stomach of mammals is another common acidic habitat. Humans secrete 1.5-2 litres of gastric juices into their stomachs each day. The gastric juices are acidic (about pH 2) due to the presence of hydrochloric acid which is produced by the parietal cells that are found in glands on the stomach wall. Hydrochloric acid assists the initial stages of breaking down and digesting the food, but is also one of the first lines of defence against potentially harmful organisms. Any parasites which infect their host by being ingested along with food or drink must pass through the stomach before they can become established in their parasitic sites further down the intestine or elsewhere in the body. Many protozoan and animal parasites infect their host as a cyst or an egg. They are thus protected by a tough cyst wall or an eggshell and do not hatch or excyst until they have safely passed through the stomach. Their ability to survive chemical attack is remarkable and I have seen the eggs of some parasitic nematodes survive exposure to concentrated sulphuric acid. figure 6.3 Helicobacter pylori. Drawing Luke Marshall, Helicobacter Foundation (from the H. pylori Research Laboratory website: www.hpylori.com.au). or poor nutrition. In the early 1980s, two Australian researchers, Barry Marshall and J Robin Warren, presented evidence that peptic ulcers may be caused by infection with a bacterium, Helicobacter pylori (Figure 6.3). This suggestion was initially greeted with some scepticism since it was assumed that no bacterium could live in the acidic conditions of the stomach (although one has to wonder why, since the existence of acidophilic bacteria was well known by then). H. pylori is now recognised to be a major factor in peptic ulcers and other stomach problems. It is thought to be one of the commonest bacterial infections in humans, with 30 per cent of the population of the USA infected. About one-third of infected people develop peptic ulcer disease. Naturally alkaline environments are even less common than acidic ones. They occur in soda lakes (see Chapter 2, 'Salt lakes and soda lakes') and in soils which contain high concentrations of carbonates. Alkaliphilic microorganisms (which have an optimum pH of 9 or higher) can, however, be isolated from a wide range of habitats such as soil and faeces, where they may be exploiting temporary pockets of alkaline conditions. Some archaea are alkaliphilic (in addition to being halophilic, see later) and inhabit soda lakes. Although acidophilic and alkaliphilic microorganisms are very different, they face some similar problems. Both acids and alkalis are very corrosive, dissolving and destroying most biological materials. Parts of cells which are in direct contact with the external medium (surface membranes and flagella) must be able to resist these destructive effects. These organisms have to cope with either a surfeit or a dearth of hydrogen ions in their environment. Acids have a high concentration of hydrogen ions (low pH) while alkalis have a low concentration (high pH). The optimum pH for the activity of enzymes is around neutral (pH 7). Acidophiles and alkaliphiles would not be able to function if they allowed the pH inside their cells to reach that of their surroundings. They control their internal pH by regulating the movement of hydrogen ions across their surfaces. They can thus maintain an internal pH that is much closer to neutral than the solution in which they live. Despite this, the intracellular pH may be several pH units above or below neutral. These organisms thus have enzymes which work best under acidic or alkaline conditions. 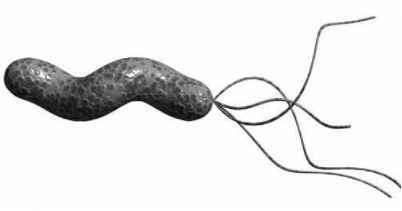 H. pylori can survive the acid environment of the mammalian stomach since it uses the enzyme urease to convert urea, which is a common waste product of the metabolism of nitrogen compounds, into carbon dioxide and ammonia. The ammonia dissolves in water to make an alkaline solution which neutralises the acid from the stomach in the region around the bacterium. Is the stomach a natural extreme envirnoment?